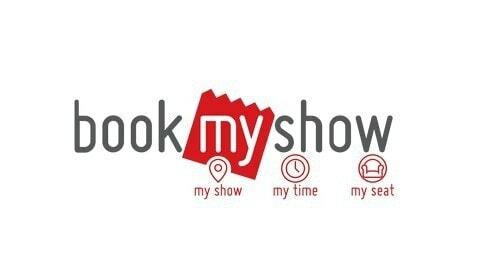 Bookmyshow is a renowned platform for booking tickets via online means. It is used to book tickets for sporting events, concerts, plays and especially movies. This online portal was founded in the year 2007 by Ashish Hemrajani and his friends Rajesh Balpande and Parikshit Dar and is a subsidiary of its parent company Big Tree Entertainment Private Limited, Network 18. It has it’s headquartered base in Mumbai in the state of Maharashtra. Bookmyshow is a private company and is associated with internet software sector. At one-time booking tickets for a movie was a very tiring experience as one had to go beforehand to buy it and in most cases had to acquire it with extra money especially if the movie was a hit. Bookmyshow changed the concept of booking a ticket. At the onset, it was just a website where a person could easily book his movie ticket while sitting at any place. He/she also had the alternative of going through every available option and choosing the day, time and show of preference. Currently, Bookmyshow has become a very popular face in online industry as it provides a stress-free experience. The company has come a long way from only movie tickets to ticketing website for plays, sports and concerts. It is dedicated to providing the best experience for watching Bollywood blockbusters, Hollywood hits and regional movies. Besides ticket booking, it provides relevant information about venue details, show timings, upcoming events and movies. It was a new beginning for cinema lovers as the industry was on a high and in order to attract as many customers as possible a new notion of movie watching was taking place with the advent of cinema chains and multiplexes. It was at this time that the concept of ticketing website was formed and Bigtree took over service and retail rights for Vista in India, a ticketing Software from a New Zealand company. In the year 2007, one of the biggest portals for booking tickets was born in India. In order for the smooth running of operations, Bookmyshow has nearly 446 employees. Its primary focus has always been and always be on providing hassle-free and comfortable experience to its customers. This online company has a wide network through which it handles all its operations successfully. Its distribution channel consists of its presence in two hundred cities in India and nine hundred cinema halls. If one count screens in various theatres the number comes at nearly twenty-five hundred screens through which numerous people go and watch their favourite movie or actor. Estimated revenues of Bookmyshow are nearly 19.2 million dollars. It has broken various records like selling one lakh tickets on a single day. Bookmyshow offers various price options to its customers. A customer can pay through his debit card or credit card and in absence of both can book his/her ticket and pay in cash after collecting them from theatres. Pricing policy for its tickets is competitive and value-added as a hit movie ticket costs more than an average movie. Sometimes to balance the extra amount company provides several offers like a discount on tickets, fewer prices on morning shows and discounts on bulk booking. The mission of Bookmyshow is to provide best movie experience and for this, the company has to maintain its brand awareness in the market. It has adopted several promotional policies to increase its brand visibility. The company became an official partner for tickets to IPL teams like Delhi Daredevils, Kings XI Punjab and Mumbai Indians. It has the monopoly as ticketing partner for Indian Grand Prix, Formula 1. The popularity of Bookmyshow can be estimated through its Facebook page which has estimated one million fans. This online website has been awarded various awards like The Hottest Company of the Year for the year 2011-12. Its App has 7.2 million downloads including Blackberry, Android, Windows and iOS .